Also, we were feeling a little adventurous today and went to Olive Garden for dinner and to the mall afterward- Baby G did GREAT- not one single objection. He loves our little excursions. It was our first time out in public (not counting the doctor visits) as a family of three. 🙂 A little scary, but a huge success. Ethan loves the tub, too! 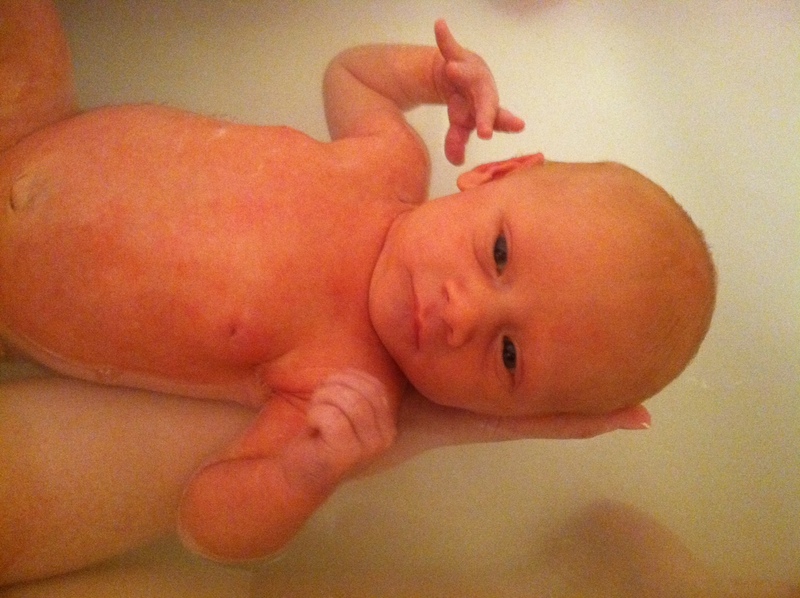 He didn’t when he was Grae’s age, but now (5 months) he just loves to splash and ‘swim’ and is all giggles in the tub. So cute! I can’t wait until he starts swimming lessons.